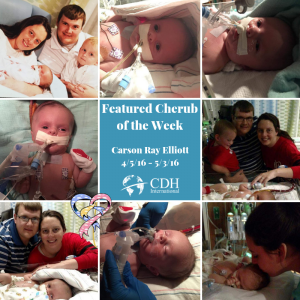 Brianna has made this video to share with us Carson’s journey with CDH. We appreciate her taking the time to share her son with us. “His first full breath was in Heaven.” That has to be the most beautiful line I have ever read. What an inspiring and truly lovely story of a remarkable little boy. Thank you so much for sharing Carson’s story with the world. You are all truly an inspiration.